1. A great or plentiful amount. Abundance Quartet was formed in July of 2013. The current members are David Hartwell, Alan Pohlmeier, Allen Sipe and Jamie Layton. These four men have come together with the purpose of sharing the Gospel of Jesus Christ through song. Inspiring Music with a smooth blend of incredible voices. Along with their unbelievable talent, Abundance Quartet is full of fun and laughter! 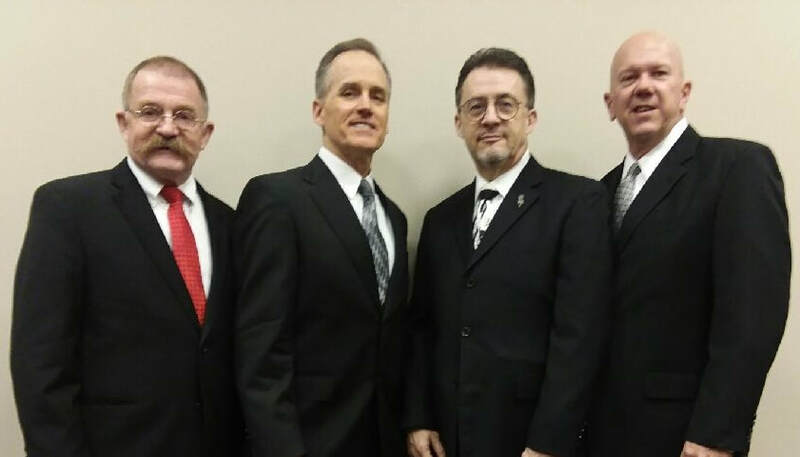 Four gentlemen that love performing and are looking forward to filling your hearts with the joys of Southern Gospel Music. If your church, special event, retreat, or occasion is looking for a unique way to spend the evening, Abundance Quartet is passionate about spreading the gospel of Christ while always sure to keep a smile on faces and a fire burning within the soul.